If you haven’t read the gorgeous Australian magazine titled Donna Hay yet, you are missing out. This super talented Australian food writer and stylist is one of our very favorites. Her magazine is beyond incredible. The photographs and recipes are a.m.a.z.i.n.g. Get to your bookstore and get a copy. So worth it! I devour each page and then tear out the pages I want to remember. One page was about limes. 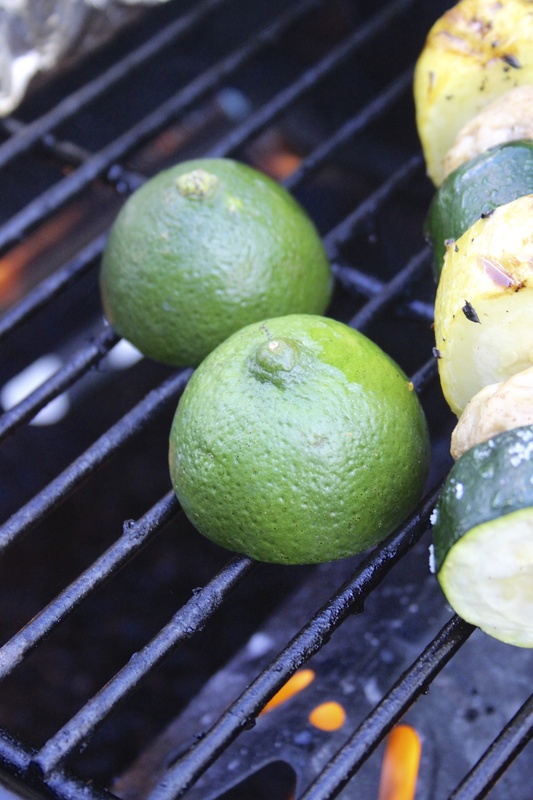 There was a tiny blurb about char-grilling limes, which I had not thought to do before. 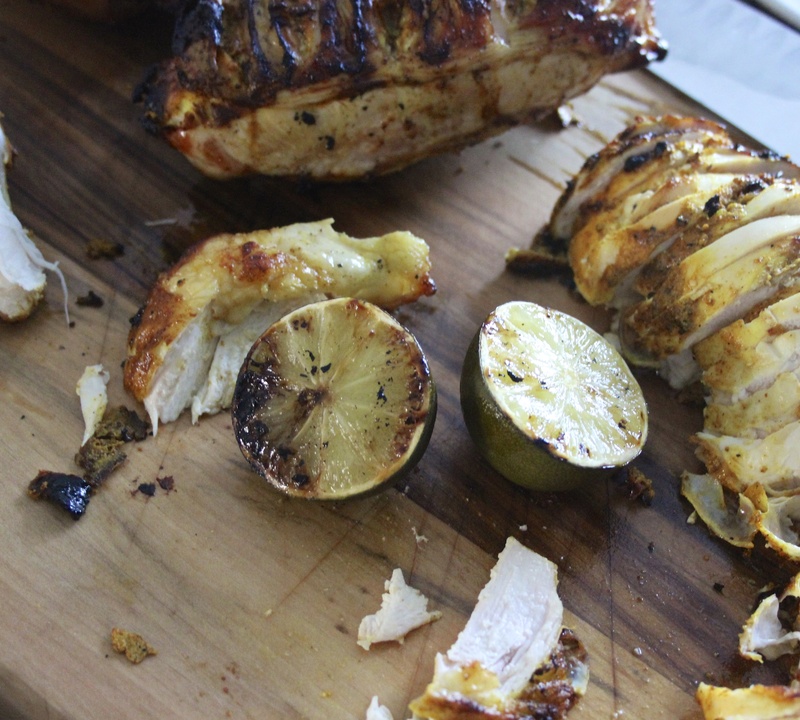 The other night we were finishing up cooking some tandoori chicken and cutting some limes to drizzle on top when I recalled the char-grilled lime suggestion I had read some time back. 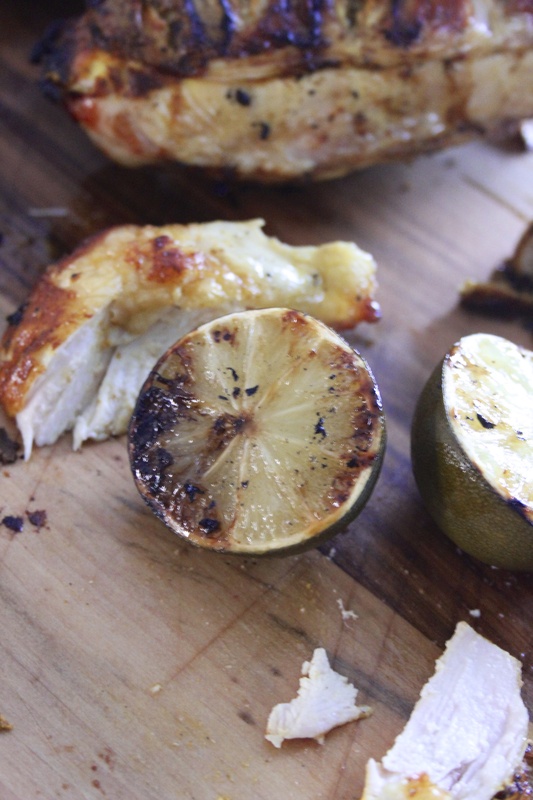 This couldn’t be easier and the flavor it adds to your chicken and fish is incredible. 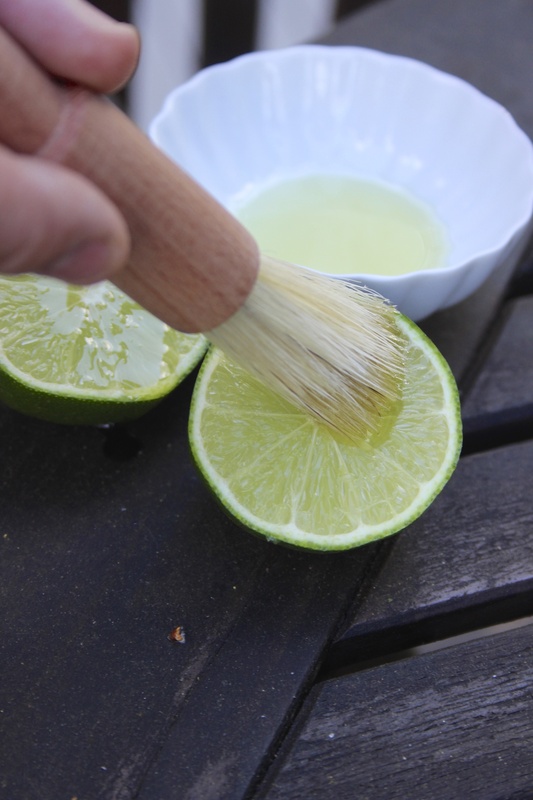 Cut limes in half and drizzle or brush with olive oil. 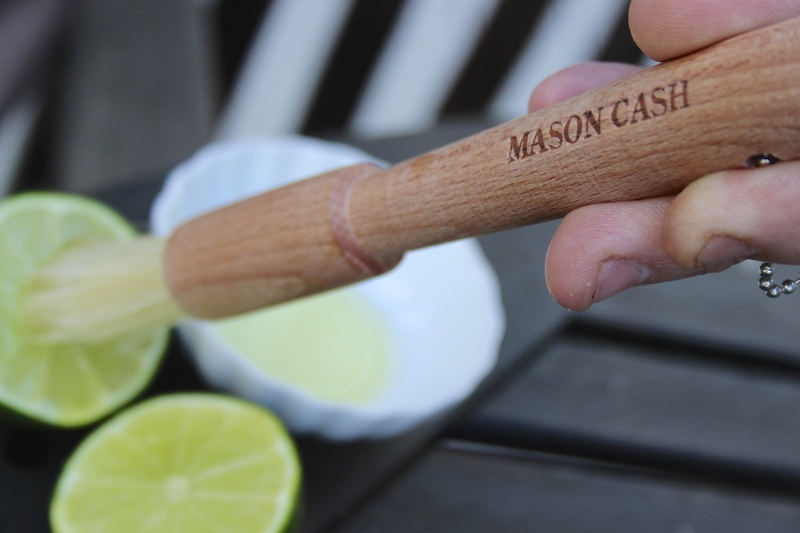 My husband had been back in the UK for a family event recently and came home with a beautiful Mason Cash pastry brush for me. Can you have too many pastry brushes? And who said they are just for pastry?! 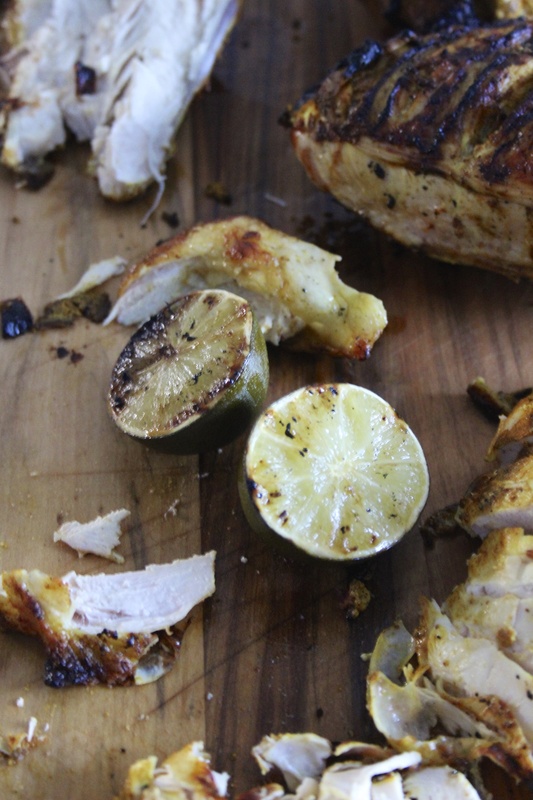 Sprinkle with sea salt and place flesh side down on a hot grill. Then squeeze onto your fish or meat. 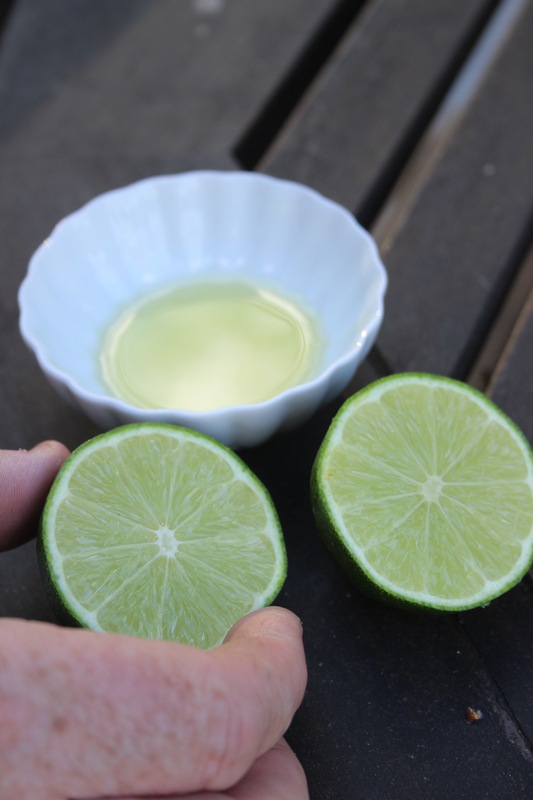 Limes are super tart so the hint of salt is great. 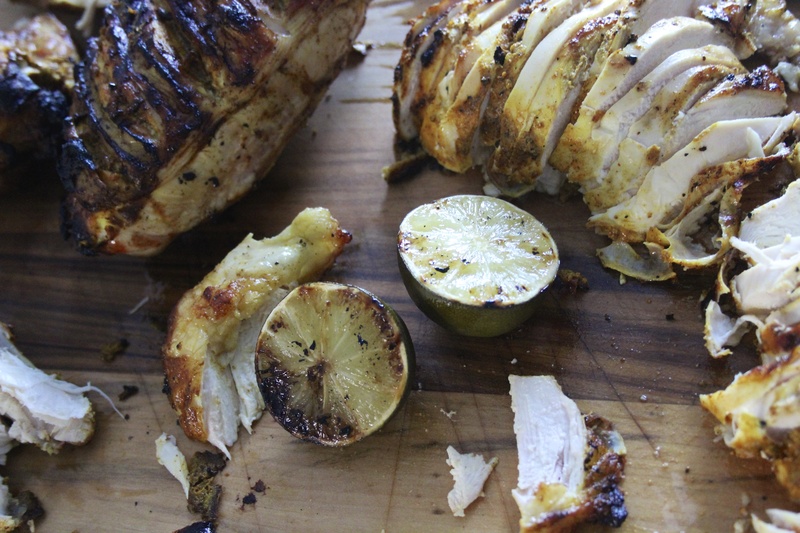 It livened up our tandoori chicken. 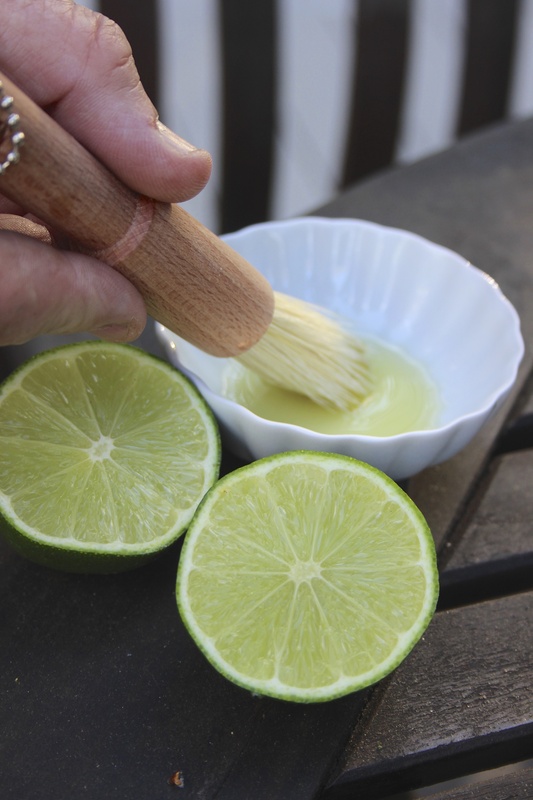 Give it a try this summer. You’ll be glad you did!